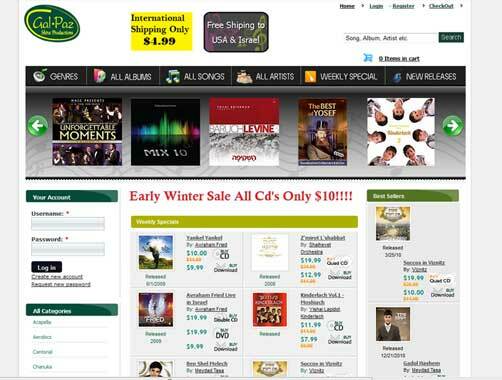 Gal Paz has their Early Winter Sale going on right now and has marked all music Cd’s to only $10. Gal Paz offers free shipping to the USA and Israel. Click here to go to Gal Paz.